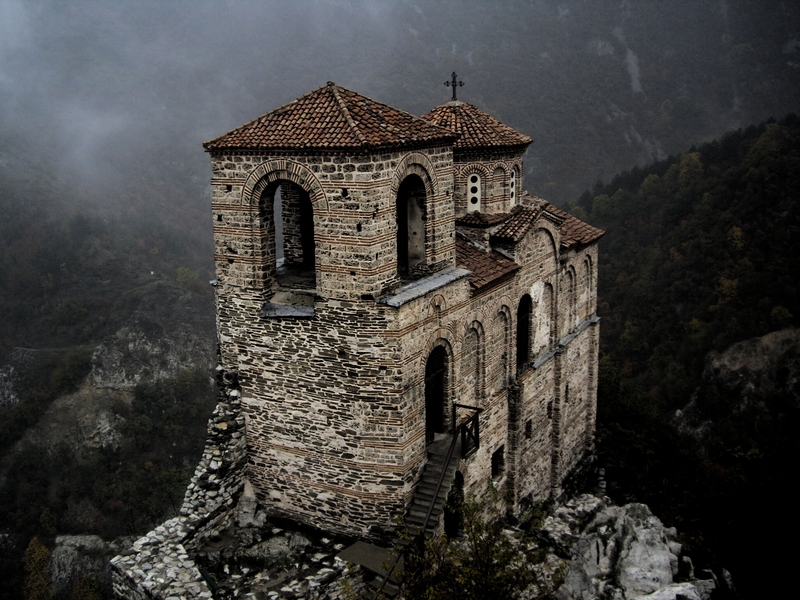 Take a year and experience the mission field in Bulgaria! We are looking for recent high school grads or college students/grads who want to pursue a ministry internship with us in Sofia, Bulgaria from October 2018 – June 2019. You will serve alongside us as we endeavor to share the gospel in Sofia and around Bulgaria. Additionally, there is the possibility of making a ministry trip to Pskov, Russia during the year. 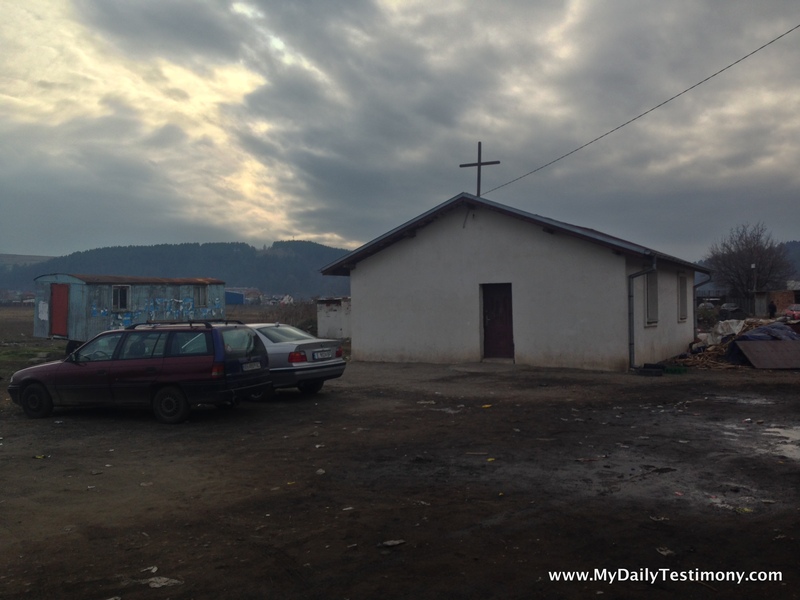 East-West Ministries International is focused on evangelism and church planting. 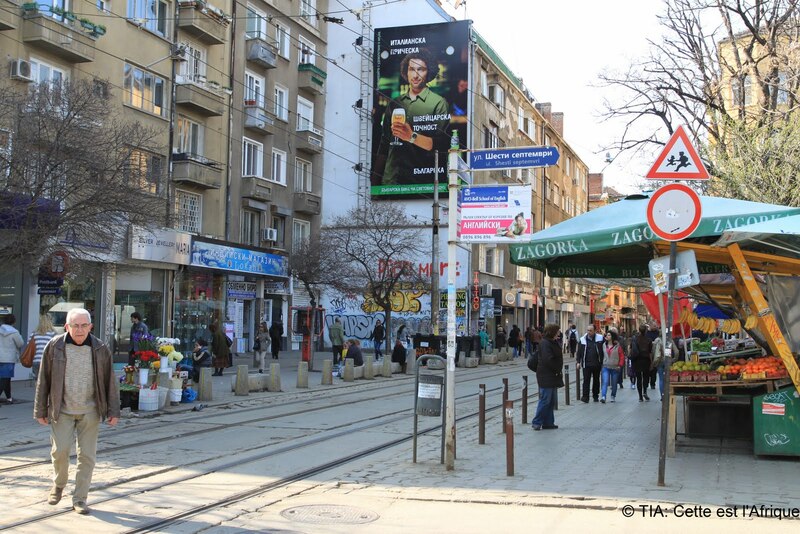 Within this mission there are numerous ways to serve, including a church plant in Sofia, partnering with the Bulgarian Christian Student Union, and ministry in a transitional home. No previous language training is necessary, you will take regular Bulgarian lessons during the week and have plenty of opportunity for practice! 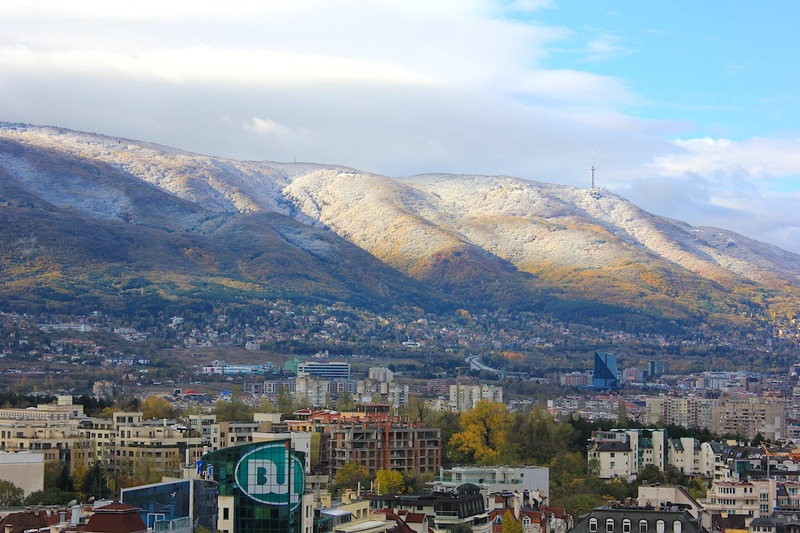 We are located in a neighborhood of Sofia near the Vitosha mountain, within walking distance of the New Bulgarian University and easy public transportation to downtown. You will need to raise approximately $1,500 in monthly support, though that may vary slightly depending on the person. We will work with you to develop a budget and support-raising plan. Bulgaria is located in the South-East of Europe, bordered by Turkey, Greece, Romania, Serbia, and Macedonia. There are also some low-cost airlines that operate flights into Western Europe if you would like to travel after the internship. Please contact us using the form below if you are interested in this opportunity! When we hear the word ministry, we often think of professionals – staff at churches or Christian organizations. Do you have a ministry? The Apostle Paul writes that God, through Christ, has reconciled us to himself and given us the ministry of reconciliation. We are God’s agents – God’s ambassadors to his enemies, offering terms of surrender. God works with individuals and through individuals. Join us as we consider God’s call on the life of the Christian in Paul’s second letter to the Corinthians 5:14-21. Psalms 1, 2, 3, and 4 Set to Music by Philip Mills They’re not Christians, They Sing! Valediction from John Calvin to Martin Luther St. John Chrysostom’s Sermon on John 3:16 – Still Powerful Today! You don’t expect to actually hear those words. Everyone knows it’s true, but it’s never said. Certainly not as a means of identification. On the bus home from a seminar the other day, Nansi had a Russian study Bible on her lap. The man sitting across from her, a Jehovah’s Witness, engaged with us – easy enough when someone is carrying a Bible! You can read the story of that encounter here. After an awkward pause, ignoring the question, she said “that guy’s not normal,” referring to the Jehovah’s Witness. At first we thought she was angry when she asked us why we were here. I think she was just generally confused, didn’t understand why we would come. Admittedly, it doesn’t make much worldly sense. A standard, nominal Orthodox Christian, who never goes to church, would also say it’s important to be a good person. It’s enlightening, however, to hear that from someone who is a regular part of the church’s life. She thinks the Jehovah’s Witness is in a cult, and he thinks she’s an unbeliever, but both of them are trying to earn their salvation. I hope she gives up. I hope she stops trying to rely on her own strength. She knows who we are, and she knows where we meet, but the cultural baggage against Protestants is so strong that very few self-identified Orthodox are willing to engage. Less than 10% of Russians have any connection to any church. Less than 10% of Russians have any connection to any church. Most Russians are Orthodox only by ethnic identification. To them all Protestants are “Baptists,” and they’ve been taught that Baptists are Western traitors who practice child sacrifice. Seriously. Most believe the first accusation, and some the second. This is one of our greatest strengths as foreign missionaries in Russia. We’re not Russian. It’s ok for us to be Protestant – I’m not a traitor for being one. Russians can engage with us as a cross-cultural dialogue, not a negotiation with an enemy. The problem is, we don’t even have the Bible as a common foundation. Do you have any experience in theological communication with Orthodox? Let me know in the comments! 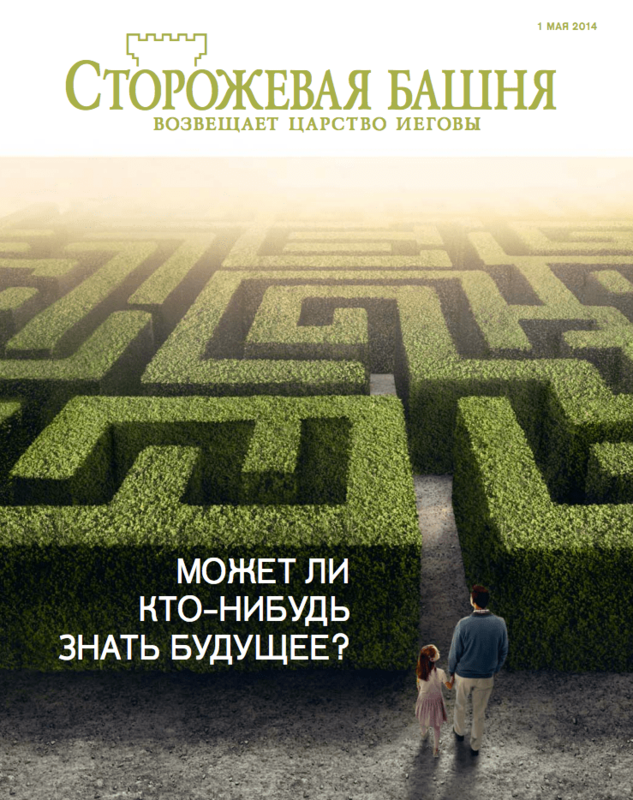 As missionaries in Russia, we’re always looking for ways to steer conversations towards spiritual themes. Sometimes, you get asked directly! My wife and I were on the bus, going home from a Romans’ seminar that was held at our church downtown. On Russian buses, there are sections of four seats that face each other, in pairs of two. Like a booth at a restaurant, but there’s no table and your legs are often intertwined. A MacArthur Study Bible, a Jehovah’s Witness and a city bus in Pskov, Russia. 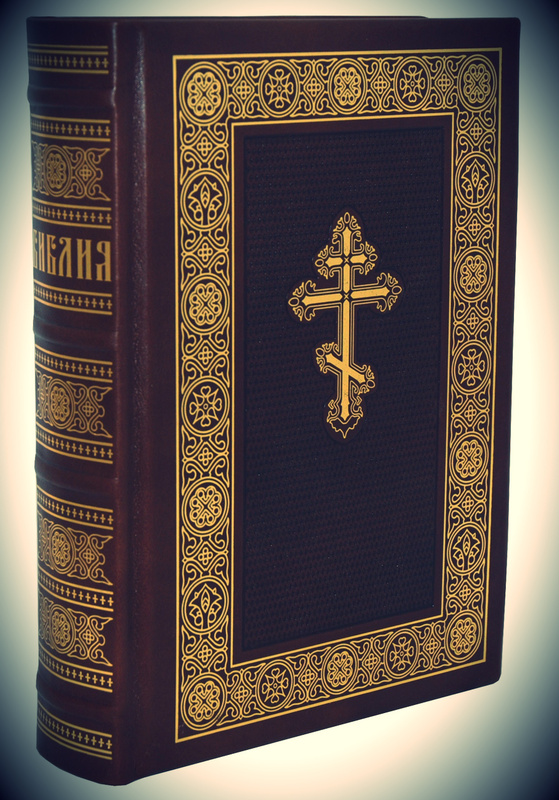 Our Russian language MacArthur Study Bible was sitting on Nansi’s lap, the description written on the spine. The man across from her leaned over and asked what a “study bible” is. Talking to strangers is highly unusual behavior for Russians in public, so I was a little confused at first. I took the Bible, opened it up and showed that the text is at the top and commentary at the bottom of each page. The man asks, “how do you know to trust what the commentary says?” That’s a brilliant question, one that I did not expect from someone in a nominal Christian culture where nobody reads the Bible. “He’s a known, respected and trusted author,” I respond. Nansi adds that we compare what we read against the text – which was actually a much better answer! “You shouldn’t read any commentary, just read the actual text,” the man replies. As if to prove something, I show him my English Bible, which doesn’t have any commentary. “A government in heaven, ruled by Christ, established 100 years ago in 1914. If I give you some literature, will you take it?” Let’s find out who this guy is, I think – not knowing this piece of JW theology. As he’s getting ready to exit the bus, he pulls out a magazine – the Jehovah’s Witness style is unmistakeable. We’re not supposed to read commentary, just the Biblical text – but we should read The Watchtower? My wife made an insightful comment, that would have been pertinent had the man not left. We’re not supposed to read commentary, just the Biblical text … but we should read the Watchtower? How is that not commentary? This is the second time that we’ve been engaged by Jehovah’s Witnesses. First, while in Bulgaria waiting for our visas – now, on a bus in Pskov, Russia. They definitely deserve an “A” for effort. Granted, he had a very helpful hint that we would be a good target, we were carrying a study Bible in plain view. Still, I can’t imagine that many Protestants are looking to start spiritual conversations in the city bus. I know, from speaking to other Jehovah’s Witnesses, that they need to earn their place in heaven, to be one of the 144,000. It is a religion of works, and he’s trying to do his part to evangelize not just because he’s concerned about us, but also because he’s concerned about himself. He is trying to earn salvation by his evangelism. That may give him greater impetus to do it – but are we, who are secure in our hope, silent? Do you have any experience with Jehovah’s Witnesses? How did you interact? I ask if she believes in God, she says that her grandmother did, but she can’t. Religion is a crutch for the weak. It’s ok for people to go to church, because they learn morals, but God can’t exist because of all the suffering in the world. 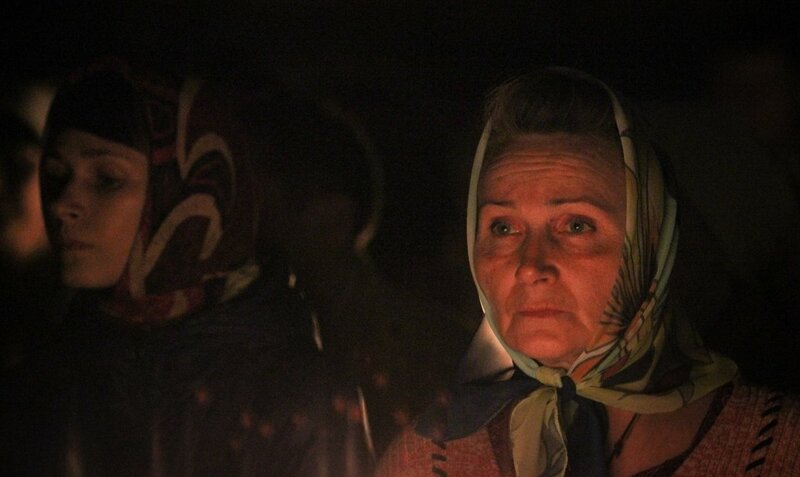 “After Chernobyl, I can’t believe in God.” In her opinion, the disaster at Chernobyl was not an accident, but an intentional attack meant to kill people and lead to the destruction of the Ukrainian people and the Soviet Union. Why would God allow that? 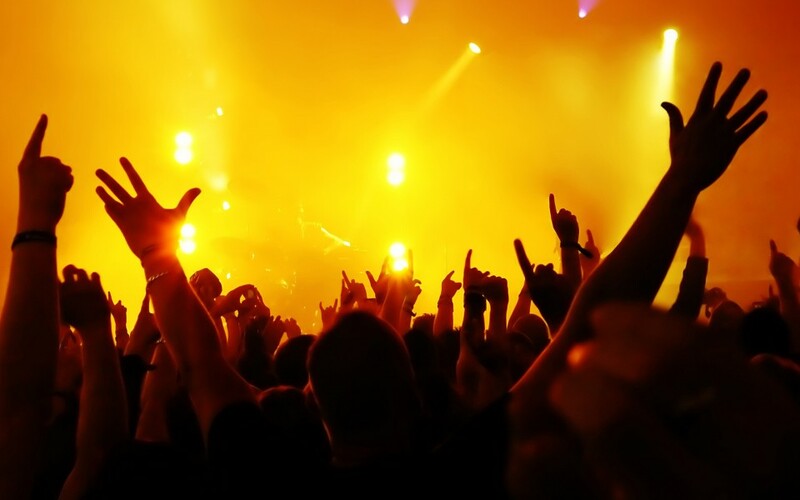 The only hope is for the people and politicians of Ukraine to bring greatness to the nation. We told her we’d be praying for her and her son and invited her to the Russian language church where I am a member if she wanted to talk more about God. Paul writes that we should believe in our heart and confess with our mouth (Romans 10:8-13). Interesting that she believes in her heart that there is no God, but she is shaken to the core when she confesses with her mouth. Please pray along with us that the conviction she feels will bring fruit. Evangelism on a City Bus – Russian Orthodox Exciting News! In Two Keys at the Same Time The Apostle Paul was a Motivational Speaker? 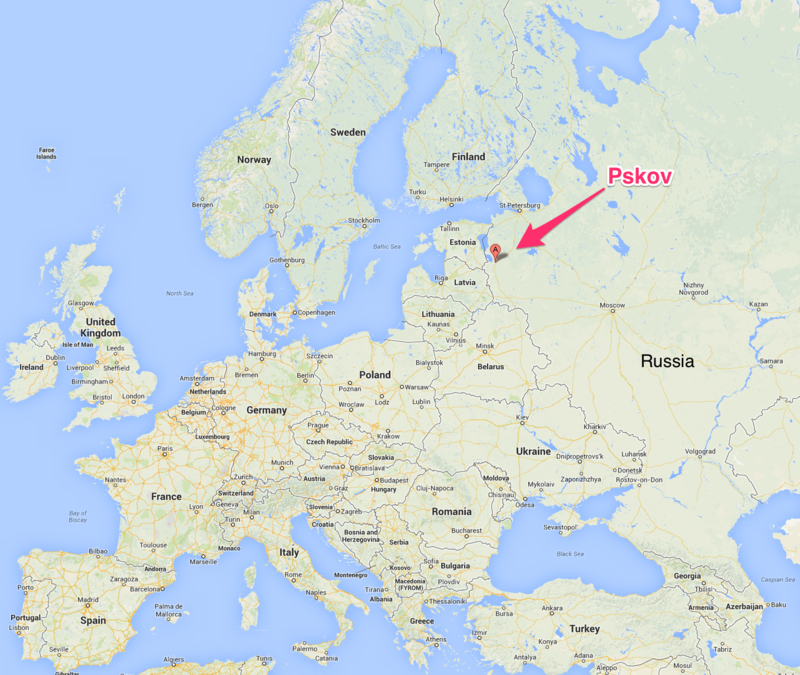 Partner with Our Mission to Pskov, Russia! My wife and I have quit our jobs, given away our savings and most of our possessions, and are raising support to move to Russia as full-time missionaries! We are still seeking 5 people to partner with us for $50 per month. Why Are Young Christians Becoming Atheists? Surveys in recent years have shown that between 60-75% of American Christian youth will cease attending church after graduating from high school. This low retention rate has led to many concerns about the demographic decline of confessing Christians. Many speculate as to why, and a Christian foundation asked confessing atheists at colleges across the country why they became atheists. The conclusions were surprisingly uniform – and present a damning condemnation of contemporary approaches to youth ministry. During his junior year of high school, the church, in an effort to attract more young people, wanted Jim to teach less and play more. Difference of opinion over this new strategy led to Jim’s dismissal. He was replaced by Savannah, an attractive twenty-something who, according to Phil, “didn’t know a thing about the Bible.” The church got what it wanted: the youth group grew. But it lost Phil. Too often we think that youth ministry should be about fun and games. With the reduction of “Big Church” sermons in the Evangelical world to simplistic, rhyming aphorisms for a better life, the standard has been set so low that the youth ministers are forced into farce. From the adults our youth have learned that doctrine isn’t fun, and catechism is a terrible game. Of course, catechisms were originally meant to train children in the faith. Jesus’ call is not to a better life, at least, not in the way that the world understands as better. Jesus calls us to lose our lives, to renounce all that we have. Personal significance, purpose, ethics – our whole lives – are to be understood through God’s plan of redemption and self-revelation in Christ. Our answers are deeper, sharper, more meaningful … and costlier than the world’s. We just shy away from them. Through our methods we teach that fun is the core value of life. Are we surprised that when freed from church they continue to seek out self-centered pleasure? We should not be ashamed of Christ’s full-throated proclamation of payment for and dominion over our lives. If people don’t sense that we take the Christian message very seriously, why would they? “I thought you didn’t believe in the Gospel,” someone asked.